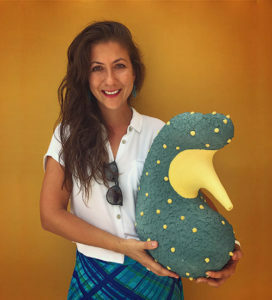 Irina, you are one of the youngest professionals in the ceramics scene, born in 1990 in Leningrad, USSR. And you come from a very creative family – Why did you decide to come to the UK and to do something with „CLAY“? What kind of expectations did you have at that time? And could you get what you had been looking for? My decision to come to the UK was a combination of several reasons, but the most prominent one was because I didn’t want to stay in Russia after my first degree. I was bold enough at the age of 20 to realize that my dream was to be a ceramic artist without any distractions, and, unfortunately, I couldn’t see such an opportunity in Russia. 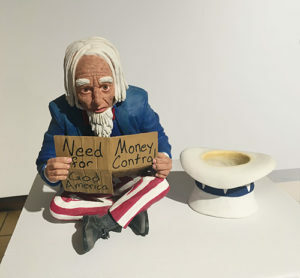 Although there is a great number of amazing ceramic artists there, I didn’t know if anyone could be one full time and earn a living through art. The second reason (maybe a practical one), was that I graduated in 2014, which was a year when the political climate in Russia changed drastically and I didn’t feel safe or comfortable back home. I was so heart-broken because of all the things that were happening and of what people were saying, that I decided that the best thing for me would be to move in a different place, at least for a short time. 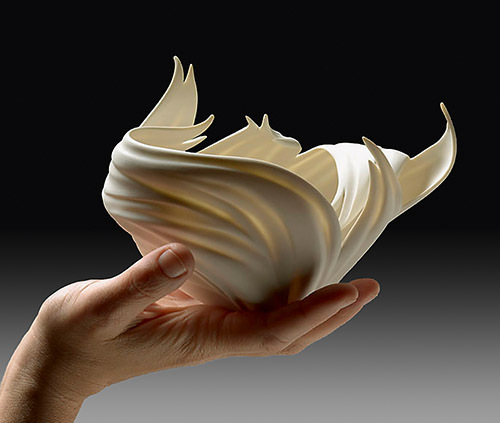 She emphasises the playful aspect, her joy and total fascination with ceramic material. 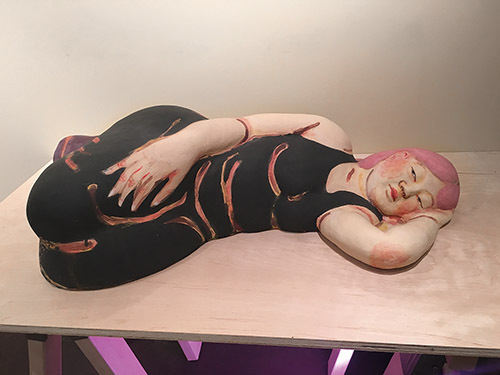 She feels no burden that so much has already been done, rather the inspirational challenge of sounding out all the technical and creative developments in ceramics, to test them and perhaps make use of them for her work to achieve her very personal expressive style and her own aesthetic. 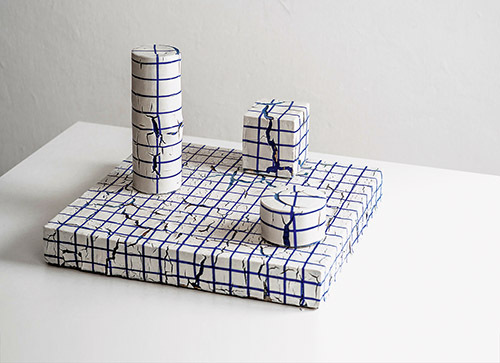 Corinna Petra Friedrich has travelled an unusually long way to arrive at her present vocation, in which she has committed herself entirely to ceramic art. Arctic Sea colours – Scandinavian blue – a tired paper white – strawberries and cream pink – ochre egg yolk yellow and bathroom green. Shakily checked, with wobbly lines, dots, dabs, speckles and spots, lively hand-drawn planes. Point and line are the inspirational beginning of a whole universe of vibrant surfaces, tiny structures and graphic patterns in related and complementary colours. The memory of granny and granddad’s kitchen curtains, a skirt, an apron, the edge of a rug and a cushion from a child’s perspective. 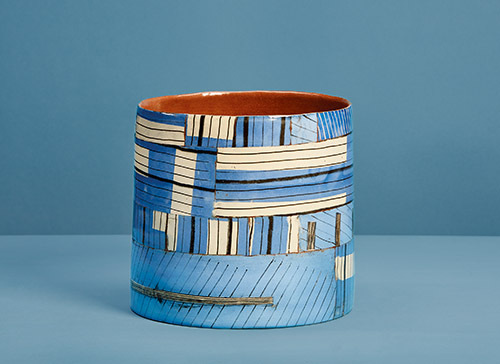 Everyday, lasting, incidental, and now, decades later, given new life on the surfaces of these ceramic vessels. Quite touching in the serially produced accumulation of patterned mugs, oval platters, small, useful vessels. They awaken the creative collector’s appetite to combine, compose and place together, at the same time passing on some of the enthusiasm that the artist Corinna Petra Friedrich pursues when she intuitively cuts up patterned and coloured planes to reassemble them and make large-scale, one-of-a-kind vessels. 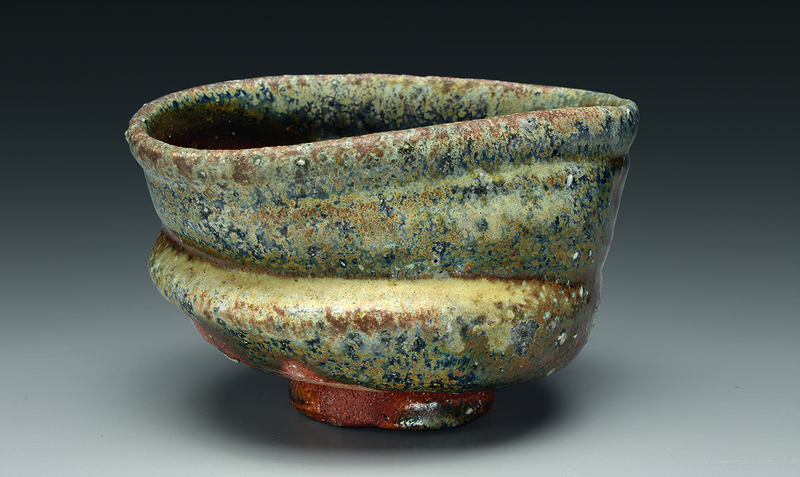 Masamichi was not born into a ceramic dynasty and, when young, never intended to be a potter. His first love was architecture but finally his diploma was in design. Once qualified in 1970, he joined a design studio in Tokoname working with a team that was designing products for the Scandinavian market. 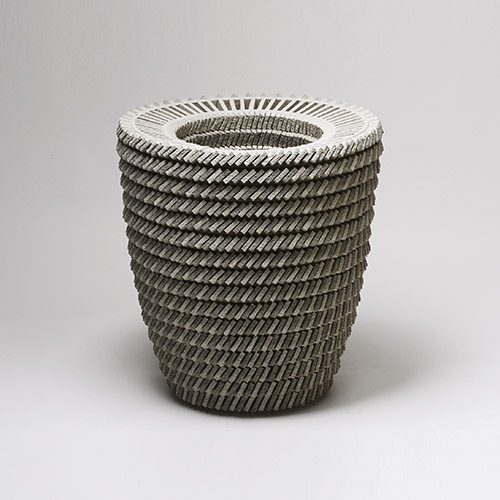 Now, Tokoname is a city with a long and prestigious ceramic history going back to the 12th century, due essentially to the local red stoneware clay, which when fired to high temperature, becomes the key ingredient of the renowned yakishimi wares. Even more remarkably, it was also the seat of one of the six historic kilns of Japan, the others being Shigaraki, Bizen, Tanba, Ehizen and Seto. By the mid-20th century, even though Tokoname had long become an important centre for the industrial production of functional wares, the ancient pottery traditions still lived on in the DNA of the town. 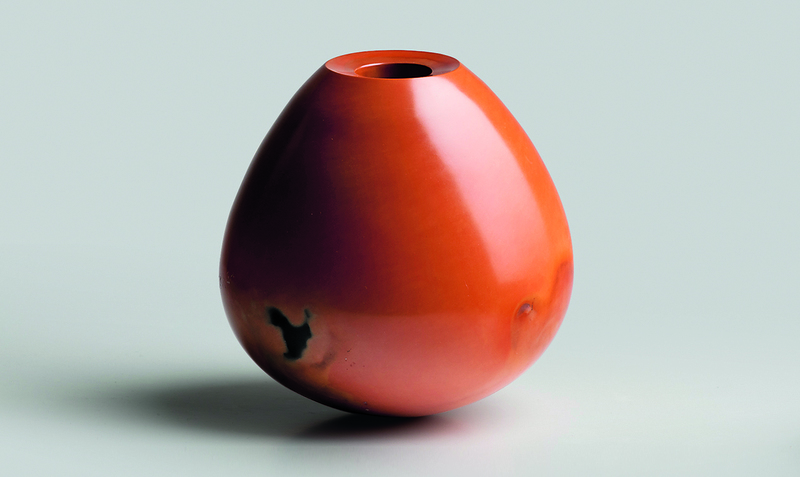 Spiritually dissatisfied by the work of a designer, so physically removed from the actual making of objects, Masamichi heard the call of the clay and found himself knocking on the door of Yoshan Yamada, an influential local potter who would teach him how to make the traditional wares. In the pottery studio he found all that was lacking at the designers drawing board, for here his hands had contact with a living material and making pots implied both concentration and corporal coordination. Not that he wanted to reproduce historic wares. The artistic value of art is not the value for which it can be sold and which makes a profit for gallery owners, art dealers and auction houses. Artists have a vision. For this they risk the sacrifices which constitute their life and which they stand by. To the artist, fulfilling this vision is the value. This absence of material worth equates with a freedom from practical usefulness. Where this stops, a new kind of usefulness emerges, in the fields of the symbols, decoration and prestige. Record results all round: over 6,500 guests came to the 2018 NCECA Conference in what by European standards is a vast convention centre, dedicated to David L. Lawrence, who as mayor of Pittsburgh from 1946 – 1959 and Governor of Pennsylvania from 1959 – 1963 called for education for all and sharing cultural values. This convention centre is dedicated to his principles: learning, teaching, sharing and acting in the best interests of the community. The first impression: – the large, aluminium trailer placed at the entrance, converted into a shop – swarming with people outside and in, filled with all kinds of ceramics, a whirl of colours and forms – which clearly activated a shopping frenzy among the visitors. During the four days, this dazzling shop was permanently surrounded, the shelves were continually being refilled, goods were wrapped, and by lunchtime on the last day, there were obvious gaps in the shelves. Great idea – perfectly placed and effectively implemented. 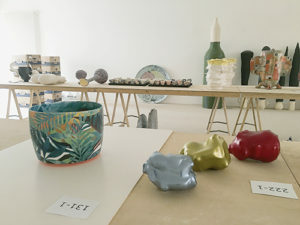 CODA Museum in Apeldoorn presents the Ceramics Triennial 2018, until 10 June, an exhibition intiated by the Dutch ceramics association, NVK. The Triennial shows work by 34 artists, from the Netherlands, Belgium, France, Germany, the UK, Denmark, Finland, Latvia, Lithuania and Turkey. 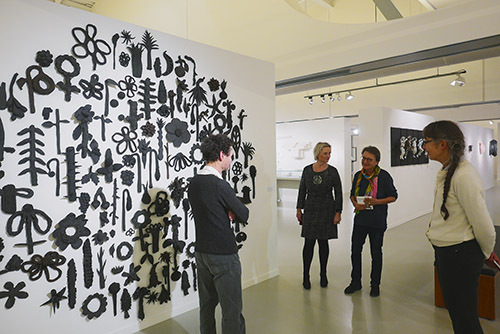 The exhibits were selected from over 360 entries from all over Europe. 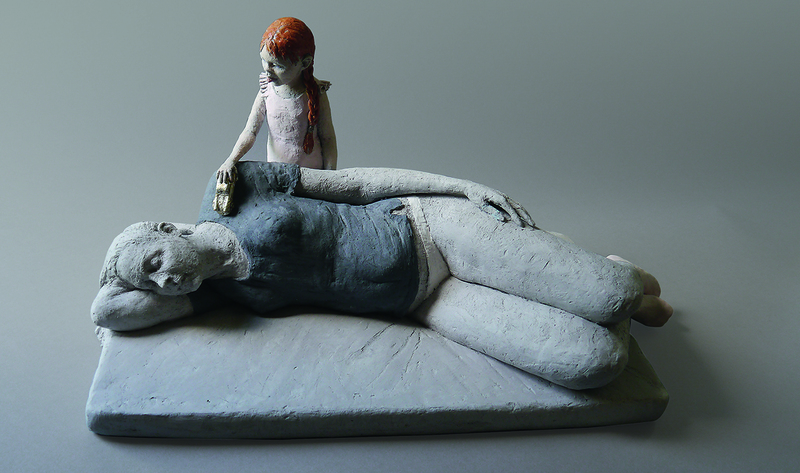 The theme of the Triennial is figurative and sculptural ceramics, i.e. 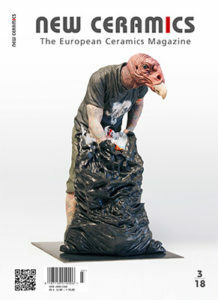 figures and installations in ceramics, with figural and recognisable elements playing an important role. The selected artists show without exception high-quality work, thereby guaranteeing a varied exhibition in which different aspects of figural ceramics are highlighted. 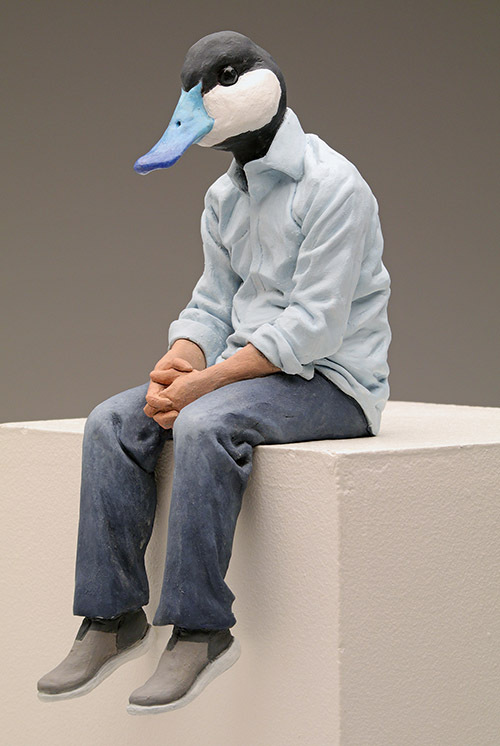 With this international exhibition, CODA Museum and the NVK chart the state of affairs of contemporary figural sculpture. In 2018, the NVK is organising a major ceramics competition for the fourth time. The original Biennial, which was launched in 2010, gave way to a Triennial in CODA Museum. In 2010, the NVK also decided to organise regular events leading to an exhibition and educational activities for schools and young people. 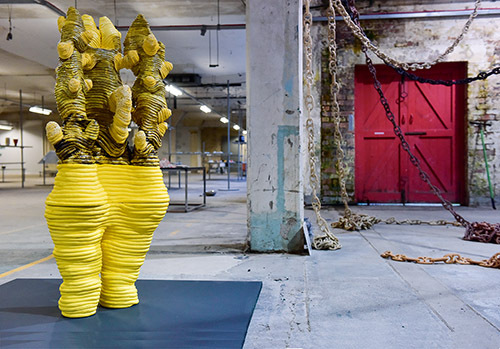 The British Ceramics Biennial, which took place from 23 September – 5 November 2017 in the former Spode factory in Stoke-on-Trent, England, celebrated its fifth edition in 2017. It was originally created to reactivate Stoke as a traditional ceramics city after the closure of the majority of its ceramics-producing facilities and has now evolved into the largest ceramics festival in the UK, this time offering an especially extensive programme of exhibitions, installations and interactive activities to a wide audience, especially since Stoke would like to apply to become the UK city of Culture in 2021. The two main exhibitions at the Biennial, AWARD and FRESH, are established in the central exhibition venue, the China Hall of the former Spode works, a light-flooded production hall and now a wonderful exhibition space with flair and atmosphere, which, as I noted during my last visit two years ago, can sometimes overshadow the actual exhibits. Pınar Baklan Önal was was born in Izmir, Turkey in 1986. 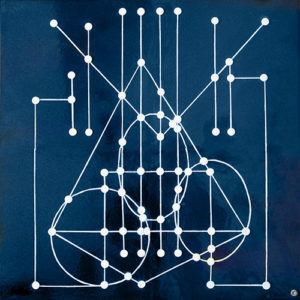 Önal created works resembling a meadow of flowers or simplified human forms that manifest her main concern with nature. Sejin Bae was born in Ganghwa, Inchon, Korea in 1981. 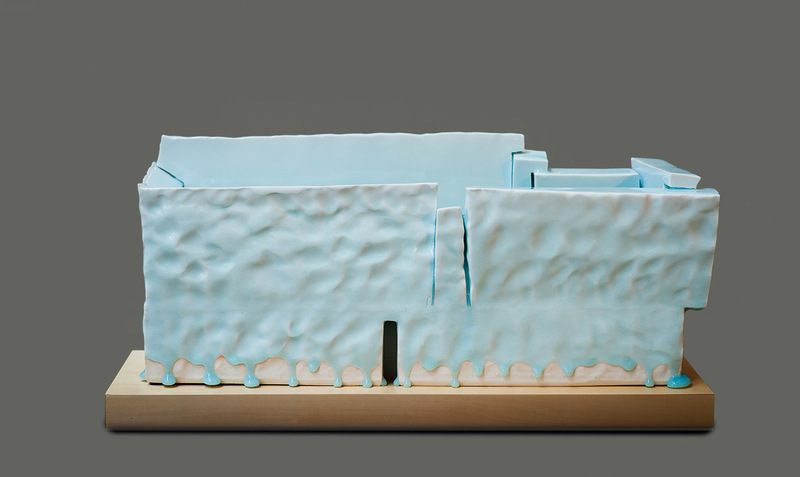 Most of Bae’s work has circular shapes, continually cutting, overlaying and structuring the small clay rectangles. Every small ceramic piece was sequentially printed with an Arabic numeral, from ‘1’ of the first piece to ‘222,684’ of the latest work. 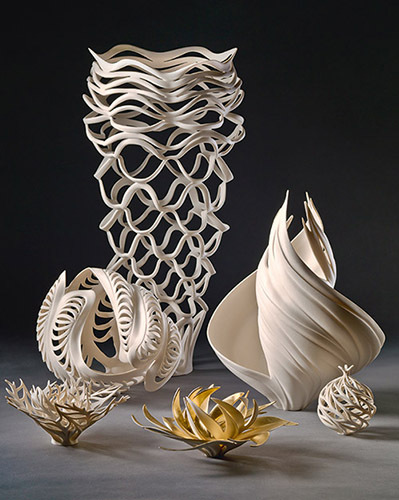 Jennifer’s snow white porcelain objects seem to float weightlessly on their gallery plinths. The negative space, the vacant space, is often larger than the positive space. You are wondering why the pieces do not collapse in the kiln? Jennifer lets us into her secrets here. 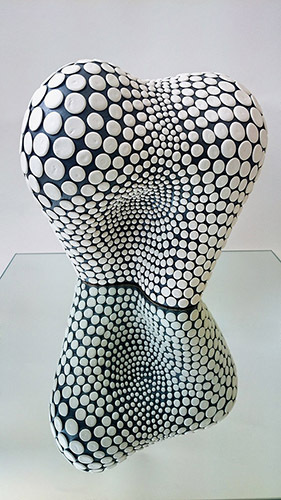 Jennifer, you are a well-known ceramist and also a dedicated teacher. You give away all your knowledge in workshops, videos and books. Is there a „sense of mission“? I think more about our sense of our community. Potters generally are supportive of each other and we share a passion for the clay. 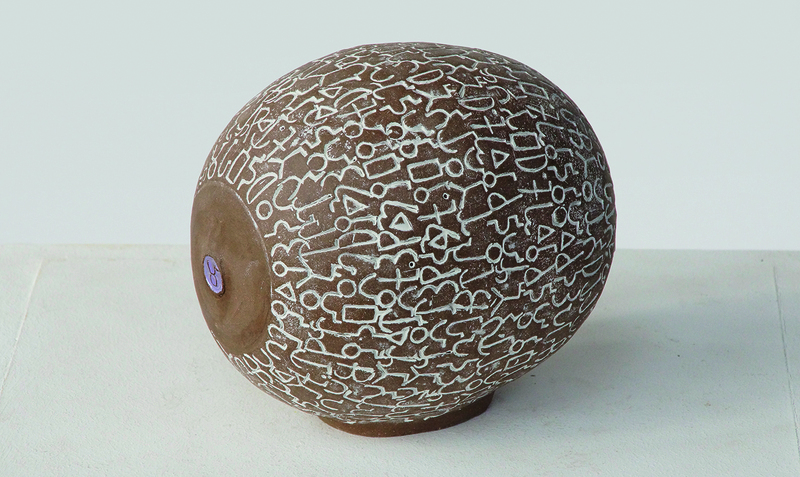 Clay is a language that is shared beyond borders of location or beliefs. I want to be a part of that culture and help it grow.